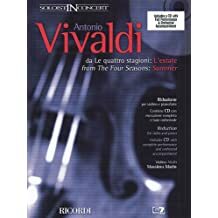 Vivaldi, Four Seasons Summer, Allegro Non Molto 1 part • 4 pages • 04:12 • 3 years • 6,203 views Cello Violin, Vivaldi Summer. 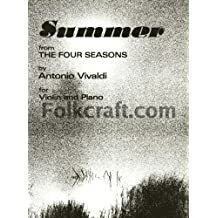 The Four Seasons (Summer) for Piano solo Piano Solo - Intermediate Composed by Antonio Vivaldi (1678-1741). Arranged by Various. Classical Period, Baroque Period. 15 pages. 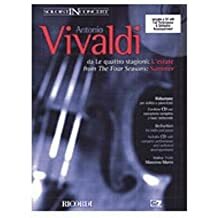 Published by Classical One (S0.147995). 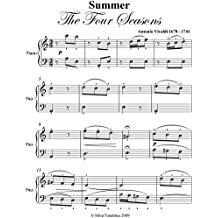 'Summer' (3rd movement) from The Four Seasons by Vivaldi for Piano Solo Piano Solo Composed by Antonio Vivaldi (1678-1741). Arranged by Philip Kim. Baroque Period. 9 pages. Published by Philip Kim (S0.119923).